HMS Acasta will be on hiatus for the Holiday Season, be sure to check back on January 1st for more articles and entries of interest! 2014 promises to be great, and we look forward to sharing it with you. 200th - Posts with this label are posts that have to do with the 200th anniversary of some event that took place during the War of 1812. Either with the Acasta herself, or the war in general. Want to know what was happening on a particular date? Here you go. Apple - Posts with this label are either written BY or about Acasta ship's carpenter Mr. Jas. Apple. Baptiste - Posts with this label are either written BY or about the Acasta Surgeon's Mate. Event Invite - These posts are invitations to the general public to attend specific historic events. A great way to figure out where the Acasta crew will be during the year! Images - This label is given to any post that is picture heavy. 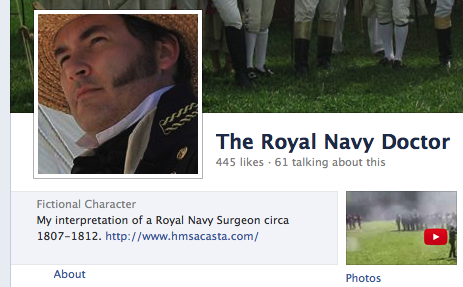 Looking for lots of awesome War of 1812 or Royal Navy recreation pictures? Look no further! The Acasta has been gifted with some amazing photography over the years from a variety of sources. Jane Austen Festival - Given to any post that has to do with the annual Jane Austen Festival that is held every July in Louisville, KY.
Lt Ramsey - Posts with this label are either written BY or about Acasta ship's Second Lieutenant Michael Ramsey. Lt. Hamilton - Posts with this label are either written BY or about Acasta ship's First Lieutenant Jim Hamilton. Lt. Tumbusch - Posts with this label are either written BY or about Acasta ship's Third Lieutenant Tom Tumbusch. Mail Packet - This label will involve letters (real or digital) sent or received by Acasta crew. It also occasionally has to do with a call to readers for letters, a fun project for authors and historians alike! Midshipman Raley - Posts with this label are either written BY or about Acasta Midshipman David Raley. Miscellany - A grab bag of odds and ends posts that couldn't really be labeled anything else. 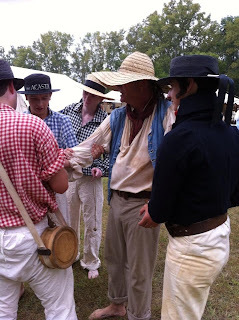 Mission 1 - All posts pertain to the Acasta's first play test of the "Spy Game", a first person activity played between teams at Mississinewa 1812. 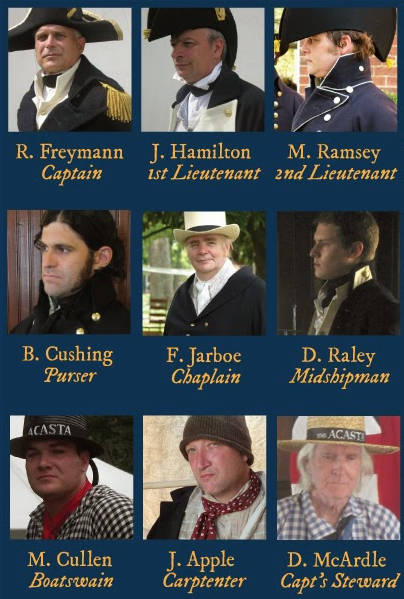 Mission 3 - These posts involve the Doctor's special assignment to take part in a mock Naval assault at Niagara on the Lake. Mission 4 - The Acastas go ashore at the Fair at New Boston in an attempt to catch a spy, and the Doctor gets engaged! Mississinewa 1812 - Given to any post that has to do with the annual Mississinewa 1812 event that is held every October in Marion, IN. Mr. Cushing - Posts with this label are either written BY or about Acasta Purser Brian Cushing. Music - Music or lyrics (or both) to old period songs. New Boston - Given to any post that has to do with the annual Fair at New Boston event that is held every Labor Day Weekend near Springfield, Ohio. Press Gang - Content and images from the Acasta's Press Ganging activities at events. Red Box - Content and images having to do with the "Red Box' game. Signal Flags - These posts involve images and information having to do with this means of communication during the War of 1812. Sometimes they even involve fun messages to be decoded! Toasts - information pertaining to the Daily Royal Naval Toasts given at dinner. Vassermann - Posts with this label are either written BY or about the Surgeon's personal servant James Vassermann. Video - Any post with a video or a link to a video in it can be found here. Wedding - These image heavy posts are all about the Doctor's 1813 style wedding. Royal Navy Yard, Kingston, Upper Canada. How are you, Sir? Has God graced you and your fine ship and crew with opportunities for distinction and prize money by sending enemy vessels your way? I hope that good things have happened to ease the monotony of blockade duty. Well I remember the tedium of tacking off of enemy ports for weeks or months at a time, watching the seamen go through their routine tasks again and again to the point of contempt for their duty. It was ours to ensure they continued and performed their assignments as well the thousandth time as the first. Little did we know that knowing what to do in a crisis was learned through the endless repetition that was blockade duty. Since last I wrote, many things have happened here on our inland seas, some good, some bad. 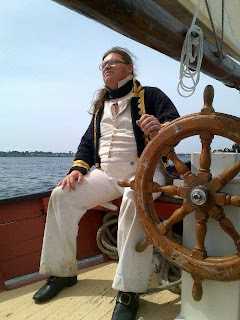 As I recall, I was about to travel overland to Amherstburg, on the Detroit River, to endeavour to salvage what was left at the shipyard after the Squadron departed for their meeting with Commodore O.H. Perry. It seems that General Procter and Commodore Barclay agreed that the lines of communication and supply needed to be opened and, as soon as ship-sloop HMS Detroit was ready, the entire force was gathered together and set sail. Barclay’s battle report was received recently and the outcome of that battle was much as Lt. Tumbusch reported, with the entire British squadron captured by Perry. A north west wind was thought to give Barclay the weather gauge over the US squadron anchored at the Bass Islands. 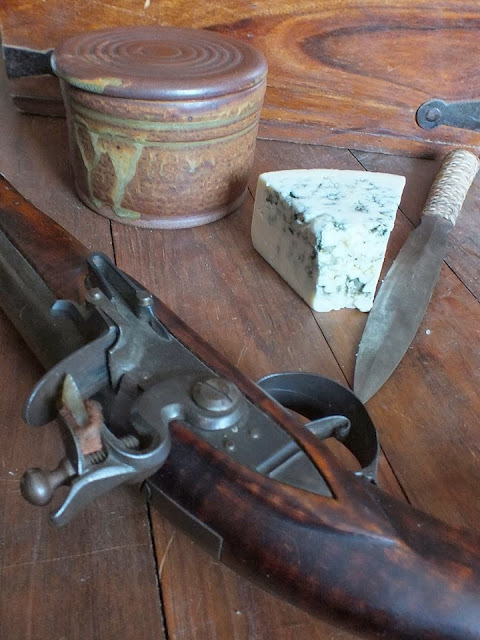 As Detroit was armed with a collection of long guns gathered from Fort Malden, she would have the advantage of range and skillful use of the weather gauge would allow the Commodore Barclay to hit the Americans without being hit himself. So, despite the fact that the British squadron was out manned, outgunned and outnumbered there might be a winning strategy. It was not to be. Not long after the two fleets sighted each other, the wind shifted and Commodore Perry had the weather gauge. Still, Barclay used the time of approach well, using his long guns to effect. Both squadrons formed line-of-battle with the flagships leading their respective fleets. It is unclear as to what the Americans’ intentions were but Perry in brig-sloop Lawrence (493 tons, 110’ between perpendiculars, 18-32 pdr carronades and 2-12 pdr guns) led with brig Caledonia (86 tons, 1-32 pdr carronade and 2-12 pdr guns, all on pivots) behind, then Niagara (same as Lawrence) followed by some schooners and sloops, most equipped with single long guns on pivots. It is obvious that the brig sloops are similar in size to the Madison, bigger even than Wolfe, the largest British warship on the lakes. Barclay led in Detroit (305 tons, 92’ 6” between perpendiculars, 1-24 pdr carronade, 2-24 pdr guns, 1-18 pdr pivot gun, 6-12 pdr guns and 8-9pdr guns) followed by ship-sloop Queen Charlotte (254 tons, 92’ 6” between perpendiculars, 14-24 pdr carronades, 1-24 pdr pivot gun and 2-24 guns). In addition there were also a few small brigs, schooners and sloops, similarly armed to the American schooners. From this data, you can see that the two ship-sloops are actually slightly smaller than Royal George and certainly more lightly armed. Having lost the weather gauge through no fault of his own, Barclay endeavoured to concentrate his force on the enemy flagship and the Americans accommodated this strategy, the Niagara hanging back, not willing to leave her place in line by passing the slow sailing Caledonia and support the beleaguered American Commodore. After two hours of the entire British squadron firing into Lawrence, Perry removed his flag from the shattered brig to the undamaged Niagara. The Lawrence then struck her colours. 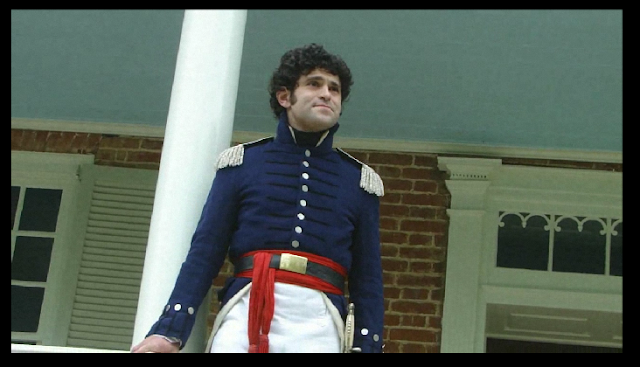 The report from Barclay suggests that it was felt that the Americans would retreat and try again another day. Certainly, the British squadron had suffered at the hands of Lawrence and her terrible battery of 32 pdr carronades, fired at close range. 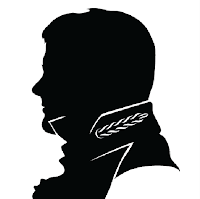 Every command officer was either killed or wounded including Commodore Barclay himself. Perry must have had some idea as to the real damage received by the British squadron, for he promptly sent the Niagara’s commanding officer off to gather the schooners and bring them to battle, and then set sail directly for the enemy. Detroit, Queen Charlotte and Lawrence were in no condition to continue and as they had fouled each other, could not manoeuvre. In turn, they struck to the fresh Niagara. Of the remaining vessels, all those who could, attempted to flee but between casualties and battle damage, they were incapable of escape. One report says that the flush-decked HM Schooner Chippewa had no one left standing on her deck. The disparity in numbers between these squadrons is astounding but again, through co-operation, a markedly inferior British squadron gave a good accounting against a superior foe however, in this case, what good fortune there was favoured the enemy. This time, a bloodied enemy did not retreat, but returned to the fight and prevailed. Before long on my trip to the dockyard where this sorry tale began, I began to run into dispatch riders hurrying to Burlington with news of developments at Amherstburg. While the outcome must have been known to General Procter on September 11th or 12th, facilities and remaining stores were not burned at Detroit until the 24th, and Malden on the 26th. The retreat began the following morning when Perry’s fleet was reported entering the Detroit River. General Harrison occupied the remains of Fort Malden on the evening of the 27th. Proctor took his remaining force which included nearly 900 of the 41st Foot and those Indians who could not remain up the Detroit River to Lake Saint Clair. He then pushed up the road along the Thames River into the interior. However the pace was insufficient to outrun the pursuing Americans who have a mounted unit of riflemen and gunboats on the river. On my now pointless journey to Amhersburg, I had reached the Moravian Town by the 5th October and encountered the retreating Right Division of General Procter. I heard from the many soldiers nearby that a rearguard would be attempted two miles downriver as the Americans had closed to within a short distance of the column. I hurried to see what support I and my party might offer and thought that sailormen might aid with the artillery. The lone 6 pdr was placed on the road on the north bank of the river but we discovered that the artillerymen had no ammunition. Shortly thereafter, the ragged line of dispirited infantrymen between us and the enemy were ridden down by the Kentuckians and they were amongst us. They then dismounted and led their horses through a small swamp in the centre of the battlefield and then attacked the Indians who were anchoring the right flank of the British line in another swamp to the north. By now the surviving redcoats were retreating along the road, including the General himself. We could see that there was little we could accomplish and so went with them. The Indians stayed for a while longer. We could hear the sounds of battle behind us for at least another hour but, after that, either distance or death silenced them. It is reported that Tecumseh has fallen. Only 246 officers and men of the Division escaped and made their way to Burlington Heights and the relative security of the fortifications there and the men of General Vincent’s Centre Division. I continued back to Kingston. It is well that the Americans did not pursue us further but they must have known we would be no threat to the consolidation of the Detroit frontier under the American colours for the remainder of this year. We at first considered that they had no wish to extend their supply lines into the wilderness with winter coming on but the real reason eluded us for a while. The truth of that might shock you. 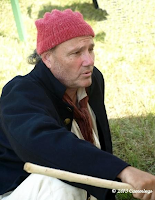 I shall expand on that in my next post but again I am summoned to Sir James, this time to consult on possible alternate routes to the upper lakes and to perhaps construct a shipyard on a hidden bay on Lake Huron. The war on that front is rapidly getting out of hand, and the war here on the lower lake is by no means a sure thing. A delight to receive your letter, thank you! We get little mail ourselves, here in the interior and less as the weather worsens. For myself, with few family connections, I receive virtually none even when communications are at their best. May I congratulate you on your marriage? I regret that I have been too pre-occupied with Naval and military affairs to send you my well wishes but hope to make amends, perhaps with a visit to your station during the winter. Let us plan on that, shall we? Sir Joseph sends you a gift of a sylvia moltonii, you say? He must think very highly of you to send such a specimen, particularly as we are unlikely to visit Corsica in the near future to replenish his collection, yes? Doctor, you must be quite pleased! I am not a naturalist you know, but am familiar with the species as I have served in the Mediterranean, although a long time ago. I was a Master’s Mate aboard HMS Culloden at the Nile in ’98. While there, I developed my interest in antiquities. You may recall that Culloden was working hard to get in amongst Napoleon’s anchored fleet while entering Aboukir Bay. While I was supervising the helmsmen, we ran hard aground on an uncharted shoal. Captain Troubridge was none too pleased but I console myself in the knowledge that we functioned as a beacon for the rest of the fleet as they sailed safely past us to the great victory. However, I’m certain the incident did not greatly aid my career. So, you are to speak at the surgical institute in Paris? I envy you, Doctor, for they say no city can compare to Paris and I have never been. I suppose your profession protects you from seizure and imprisonment as a Naval officer? I expect you could observe much of France’s preparedness for war on your visit, but then again, if you are protected by your physicians’ creed, then you might feel that you would be spying and that could compromise your professional ethic and your honour. I am sorry I mentioned it, please forgive me. And yet, you have suggested, hypothetically of course, something in a similar vein, have you not, that a person might find himself in a position to commit mischief against a tyrant by using his unique talents, both to gain access to the high and mighty, and to administer the means to achieve the “sorry end”. Indeed, a most interesting dilemma. But let us examine this hypothetical proposal. I am flattered that you value my opinion so highly. However, you may find me more pedestrian than you suppose. First, I have made my career in the Navy, an institution that weekly toasts to, ”A bloody war, or a sickly season”, either circumstance guaranteeing rapid promotion. Should the war end tomorrow, the originator of that state would not endear himself to Naval officers who would see their opportunities to distinguish themselves vanish immediately, condemning them to a life of mediocrity. I, who have had promotion delayed countless times due to an abundance of bad luck, should be the last person to welcome the war’s end. The Navy is one of the few places where a commoner can, through merit or good fortune, elevate himself to a knighthood or even a peerage, the Navy can be the path to the House of Lords for a vicar’s son. 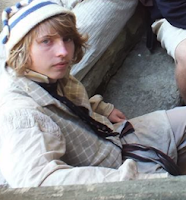 Third and fourth sons of “milord Pompous” who have all the attributes of their moneyed and titled seniors but lack the coin to make their way in society, can fill their pockets through prize money and can buy a rotten borough in the Commons or obtain a peerage of their own. War is a part of our society, accepted as a career path to make one’s fortune. It allows persons of indifferent merit or low origins to rise to heights of heroism and valour much valued, that would be denied to them otherwise. Of course, war also means a great number of heads would be knocked off, talented or otherwise, but most know the risks and would roll the dice, feeling that one or the other outcome is preferable to poverty or obscurity. I note that you are examining this philosophical dilemma from your point of perspective, placing your own moral sensibilities on the hypothetical protagonist. Well then, let me expound upon this element, always allowing for my own interpretation of what I perceive your sensibilities to be and the possible errors inherent through my assumptions. As a physician, you take a solemn oath not to bring a fellow to harm. Yet, in a conflict, you have been known to take up truncheon, cutlass or pistol and smite your opponent who, it seemed likely, was about to do you wrong. Then, while your erstwhile foe lies before you wounded, you employ the latest in medical techniques to save him when, upon recovery, he will likely wish to harm you yet again. On the face of it, can there be anything more absurd? Still, within both our sets of moral sensibilities, it makes perfect sense. It parallels the Naval scene where sailors are quick to rescue enemy seamen from a sinking ship even when the rescued might then attempt to overthrow their rescuers. So, let us take your hypothetical tyrant and place you in a position where by you might kill him. It seems you could commit the deed if you perceived him to be an opponent and that you were in conflict. In this manner, you would be outside your physician’s creed. Killing in battle is not viewed as murder. Again, this societal concept known as honour translates in a conflict to giving your adversary an opportunity to defend his life. By this code then, poison, or a stiletto to the back of an unsuspecting victim lacks honour. The killer is a murderer, an assassin, a name that carries no merit, or honour. Finally, would the death of the tyrant end the war? Would there not be other persons willing to take up the concepts that begat the enemy state and carry on the conflict? Would you sacrifice your honour and morals, and the admiration of your peers and friends, and likely your life as well, for a peace that is unlikely to happen until one or the other of the combatants is unable to continue the war? So, my argument is based on ideas more than facts. Would war’s end save countless lives? Indeed, at least for the moment. Another conflict may take them later on, who can say? Some might thank you. Many would not. And could you take pride in the act? Perhaps this bears more contemplation. Now Doctor, I am away into the wilderness north of York, to investigate a supply route to the upper lakes used by the Indians. It may prove the saviour of the soldiers and sailors engaged in the war in those northern parts with strange names such as “Michilimacinac”. Before I depart, I shall compose another letter to Captain Freymann, one detailing the last two months of our struggles here in the Canadas. I am glad that my news has eager followers in the good ship Acasta. 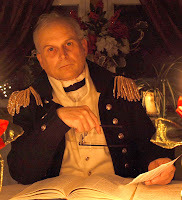 George Croghan as portrayed by HMS Acasta's own Brian Cushing. While serving as ships carpenter onboard the HMS Acasta, Capt. Freymann and our Doctor would gather the bo’sun and myself with detailed instructions on how to decorate the ship for Christmas day. We would set about then in the black of night, tying any manor of festive things above deck and aloft, and if by chance we had made land in recent time, and that not being very often as I remember, any sort of greenery would be taken aboard by a select landing party, hand picked for being almost mute to gossip, the trophies to be taken bellow. The Bo’sun, Mr. Cullen and myself would store it all upon the orlop deck, those prizes to be festooned on Christmas eve. And all those below, broken into their messes, would take all manners of trifles, hair ribbons. Colored cloth tied in bows and the like, trying to not be out smarted and anything that could was gleefully bespangled. Our Gun Capt. Mr. Dubbeld would always get a cross look on his face when discovering that his crews had dressed the cannons for the occasion, but that soon lifted after the third toast was made. And at times it was as if we were, at least for a moment, back home with those that bore us. But I must confess that from all my Christmas’s before and since, those are some of the ones that sing in my heart still. I was most gratified to receive the package you sent to me by Messer LeDuc in Halifax. I am overwhelmed by your generosity. Perhaps your fondness for your Godsons has overcome your sense of economy to my benefit? Of course you know I say this in jest, as you have always shown the most generous love for myself and my family. My one consolation is that my family is safe in your care. What strange fortune, ever my lot, that after declining employment under Captain Morreau's letter of marke I should find myself under arms in the ranks of his opposition. May the Blessed Virgin forbid that I should ever find myself in conflict with my brother, for Vance did take up the offer. When I saw that there was no possibility to avoid being pressed I went ahead and volunteered. Without the small pay advance that came with this I should have been left with only the clothes I was wearing. Your kind gifts have lifted my spirits more that you can ever know. This pistol, it is the one you killed the rabid wolf in the orchard with so long ago, is it not? The sailors tell me that if we must become boarders we will be issued cutlasses, but I shall be glad to have a pistol also. The cheese, smoked tongue and pate I have shared with the fellows of my mess. Good generous fellows they are too. After being among them even this short while I marvel at why our kings were always at odds. Since the emperor has sold us for Americans these years past should I wish them for victors in this war? I think not- for I am entitled to a portion of the profit for each American ship we take. Prize money it is called, perhaps not as great a profit as in the crew of a corsair, but potentially much better than that of a common sailor. The sailors are hopeful of taking many such prizes before the war's end. Already I have bettered my lot beyond a common sailor. I am now the surgeons mate, just as I was in the Belle Lorraine, Cerf and Van Blough. The surgeon seems a good fellow, not at all like old Barbe of the Lorraine. I have yet to see him drunk, and he has been kind to me so far. He is also a man of science. I should think that you and he, and dear Messer. Duval, could have many an interesting discussion. I have enclosed a separate letter for Marie. How I miss her already! And my sons! How I hope this war should be at an end before they have forgotten me! I will be grateful for your reading the letter to her. Tell her nothing of prize money and taking American ships, for I do not wish her to worry. 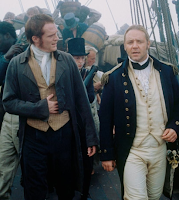 It's no secret that we here at HMSACASTA.com are huge fans of Patrick O'Brian and the Aubrey-Maturin series. When reading through the books, I discovered that the Acasta makes a couple of cameos. So today, in honour of what would have been Mr. O'Brian's 99th birthday, here are the 'O'Brian-verse' connections to our particular favourite ship! SPOILER ALERT: You're about to read some very LIGHT, semi-spoilery info from The Fortune of War, Treason’s Harbour, and The Hundred Days. Acasta is one of a series of ships in the Aubrey-Maturin series whose commands are promised to Captain Jack Aubrey by the Admiralty, but are ultimately given to other, more influential officers. Another such ship, promised to Aubrey but never delivered, is the fictional frigate HMS Blackwater. The Admiralty’s promise of Acasta is first made to Aubrey in The Fortune of War. She is described by Aubrey to his friend Maturin as a "forty-gun frigate, pretty well the heaviest in the service … And the finest sailer of the lot, on a bowline. Two points off the winds, she could give even dear Surprise foretopgallant, at least. A true, copper-bottomed plum, Stephen…." Aubrey's fictional characterization of Acasta's speed likely overstates the historical ship's actual performance. The historical Acasta is described as "not outstandingly fast," but is acknowledged to have been "very weatherly" and more maneuverable than most other frigates her size. Likewise, Aubrey's description of Acasta as the "heaviest in the service" is not entirely accurate. Although she was among the largest fifth-rates of her time, she was not the heaviest of her contemporaries. For example, two other British 40-gun fifth-rates launched at the same time as Acasta (Endymion and Cambrian) both outweighed her and mounted heavier weaponry (24-pound cannon). In The Surgeon’s Mate, Aubrey learns that Acasta has, in his absence while a prisoner-of-war in Boston, been given to Capt. "Robert Kerr." Acasta re-appears later in the Aubrey-Maturin series near the end of The Hundred Days, as part of Admiral Lord Barmouth’s squadron at Gibraltar. Longing for Christmas at home. Birdsall Cottage will likely be decorated for the season by now. A COURT MARTIAL was lately assembled at Portsmouth, to inquire into the cause of the loss of H.M.S. Penelope,* on her passage to Quebec; when the Court, upon the evidence adduced, decided that her loss was occasioned principally by the state of the weather, and the set of the current : that Mr. Homer, the master, was not sufficiently attentive to the situation of the ship a short time previous to her running ashore, and did adjudge him to be placed at the bottom of the list : that due attention was not paid by Captain Galloway and the first lieutenant of the ship, to the safety of the ship's company, by their neglecting to make proper arrangements for getting them on shore ; and that great blame was therefore also imputable to the said Captain Galloway and the first lieutenant. The Court thereupon adjudged Captain Galloway, in consideration of his having been afflicted with the rheumatism, to be only reprimanded, and Lieutenant B. Hooper to be severely reprimanded ; and that no blame was imputed to the other officers and ship's company, except Walter Howell, who for drunkenness, disobedience of orders, mutiny, and desertion, was sentenced to receive 500 lashes. Robert Cox, a seaman of the Acasta, was also tried for deserting to the enemy, on the 13th of May, 1813, with the cutter, when employed on the coast of America, and for encouraging the other part of the boat's crew to give way, cheering them up himself. The charges being fully proved, the Court adjudged him to suffer Death on board such of his Majesty's ships as the Commissioners for executing the office of the Lord High Admiral may direct. The purpose of the HMS ACASTA and the ROYAL TARS of OLD ENGLAND is to accurately portray a crew of His Majesty's Royal Navy circa 1800-1810 for the educational benefit of the public and for the mutual research and enjoyment of the individual members. Our organization will educate via a series of first person activities designed to demonstrate the real lives of sailors as they go about their business and live their lives. Landing Parties, Surveying Crews, Recruitment Drives, Press Gangs, Shore Leave... these are but a few of the activities that our crew will undertake whilst encamped at an event. During duty hours, we follow proper Navy protocols and sailors are expected to live a sailor's life. 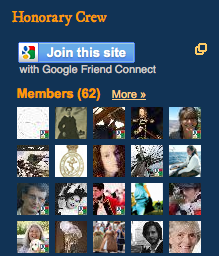 If you enjoy reading the adventures of the HMS Acasta, be certain to become an honorary member of the crew. This is a easy way to show us that you're out there and paying attention. It is a simple matter really, there is a blue button that will allow you to join. The Acasta log is generally updated every weekday at 8am CST, visit back often, and encourage your History/Royal Navy friends to visit us. Find the Doctor on Facebook! Images - This label is given to any post that is picture heavy. 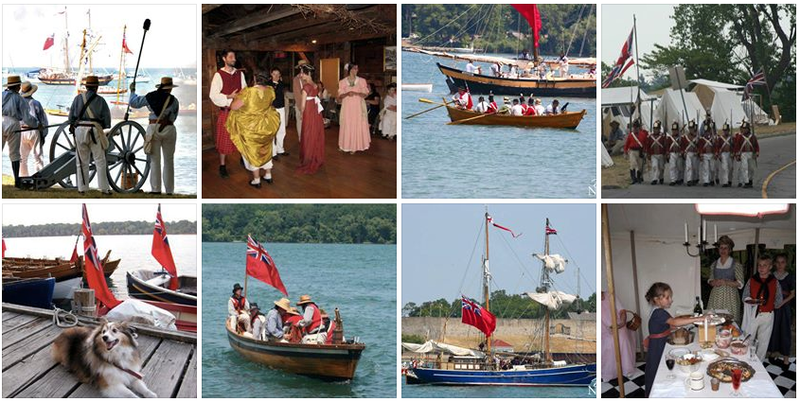 Looking for lots of awesome War of 1812 or Royal Navy recreation pictures? Look no further! The Acasta has been gifted with some amazing photography over the years from a variety of awesome photgraphers and sources. From Events, games, battles, press gangs, clothing, weddings, you name it... you'll find it here. Have a look at some of the Image Posts! It can be anything from 200th Anniversary events and historical reenactments, posts from period books, letters and documents and lots of Acasta actions. Most of these posts are not only labeled as '200th', but they are also marked with a special '200th' ribbon graphic created to make them easier to spot. Check out all the 200th Posts! 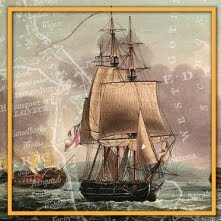 From their website: One of the most famous of the American privateers was Captain Thomas Boyle, who sailed his Baltimore Clipper, Chasseur, out of Fells Point, where she had been launched from Thomas Kemp's shipyard in 1812. On his first voyage as master of Chasseur in 1814, Boyle unexpectedly sailed east, directly to the British Isles, where he unmercifully harassed the British merchant fleet. In a characteristically audacious act, he sent a notice to the King by way of a captured merchant vessel that he had released for the purpose. The notice, he commanded, was to be posted on the door of Lloyd's of London, the famous shipping underwriters. In it he declared that the entire British Isles were under naval blockade by Chasseur alone! This affront sent the shipping community into panic and caused the Admiralty to call vessels home from the American war to guard merchant ships which had to sail in convoys. In all, Chasseur captured or sank 17 vessels before returning home. On Chasseur's triumphal return to Baltimore on March 25, 1815, the Niles Weekly Register dubbed the ship, her captain, and crew the "pride of Baltimore" for their daring exploits. My copy of 'Bulletins of the Campaign 1813' compiled from the London Gazette arrived with the last mail packet. To my dismay, it would seem that it was damaged in transit! The lower third of the book was missing, to such an extent as to make the copy almost completely impossible to read. I will write immediately to the London Gazette offices to have them replace it with an undamaged copy. You may see the damaged volume here.